Notes: Taro Hockey - College Hockey, Inc.
Gaudreau fan leading nation in scoring just as the BC alum did in 2014. Taro Hirose has posted seven three-point games, three more than any other player in the nation. Lady Byng Girduckis – RIT heads to Bentley unbeaten in five straight (4-0-1) and senior Abbott Girduckis (Belleville, Ont./Wellington-OJHL) leads the nation with 2.20 points per game in that time. 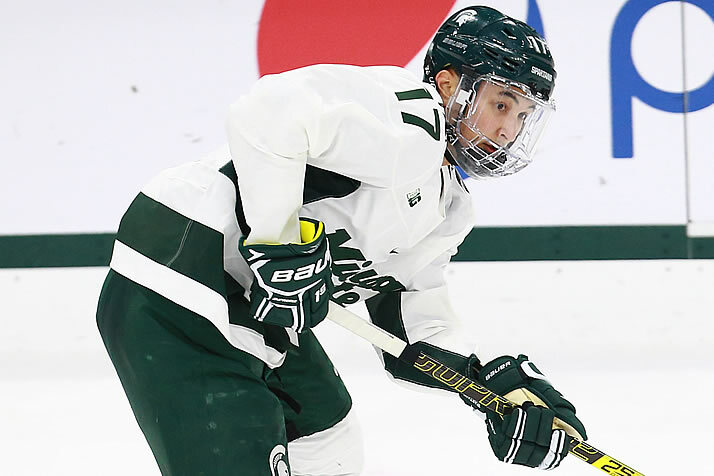 The Tiger co-captain, whose younger brother Aidan is a freshman at Robert Morris, would be a top contender if college hockey had a Lady Byng Award. Abbott Girduckis is one of three players among the nation's top 100 scorers who hasn't taken a penalty this season. Seniors leading Union – A productive senior class leads Union into Saturday's Mayor's Cup game against Rensselaer, as the group looks to avenge a weekend sweep at the hands of the Engineers in October. The Dutchmen's top four scorers are all seniors, and they are looking to return to the NCAA Tournament after last year's second-half surge left them just outside of the field. Cole Maier (Pequannock, N,.J./Nanaimo-BCHL) leads the group with 20 points, including a four-assist effort in Union's win vs. then-No. 1 St. Cloud State two weeks ago. The Hockey Humanitarian Award released its list of 17 nominees for the 2019 award … 81 players are featured in the first phase of fan voting for the Hobey Baker Award, which opened Wednesday … The nation's top 14 scorers represent 12 states, provinces or countries (Alberta and New York are the only locales with multiple representatives) … The annual game between Army West Point and Royal Military College of Canada is set for Saturday at West Point … Among the other rivalry games this weekend: Harvard at Cornell (Fri., ESPN+), Denver vs. Colorado College (Sat. is on Altitude2 and TSN.ca) … United Center hosts Notre Dame-Wisconsin on Sunday (BTN) … There are Division I men's games on eight straight days from Jan. 15-22.